The purpose of this toolkit is to provide ideas for youth activists across the state, to educate others about teen dating violence and to take action in their communities and schools. The Youth Advisory Board is made up of student leaders from around the state who are taking action in their community to prevent violence, specifically dating and domestic violence. 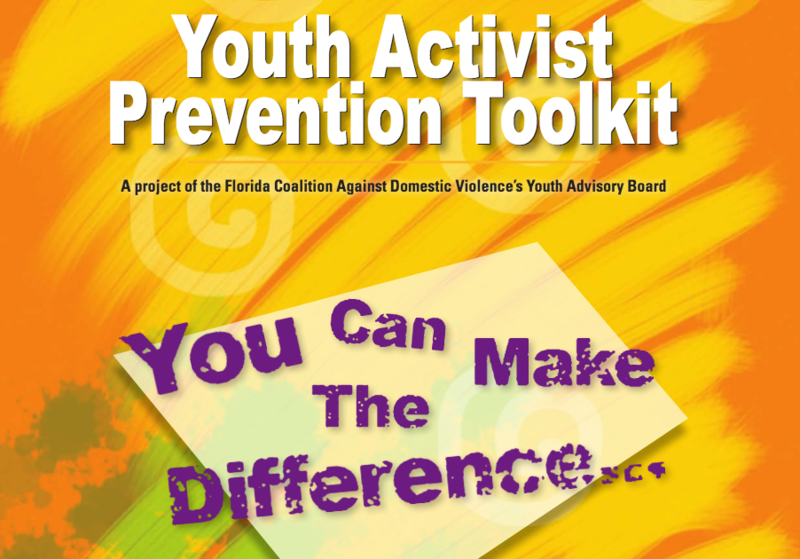 Designed for students by students, this toolkit was developed by FCADV’s Youth Advisory Board. It is a step-by-step instruction manual for students who wish to raise awareness of teen dating violence and work to prevent it in their schools and in their communities. The toolkit has many practical tips, including; how to set goals, action planning, recruiting adults and peers, spreading the word, raising funds and even how create a student board and run a meeting. The toolkit includes links to organizations where students can learn more about the issue and explore strategies.